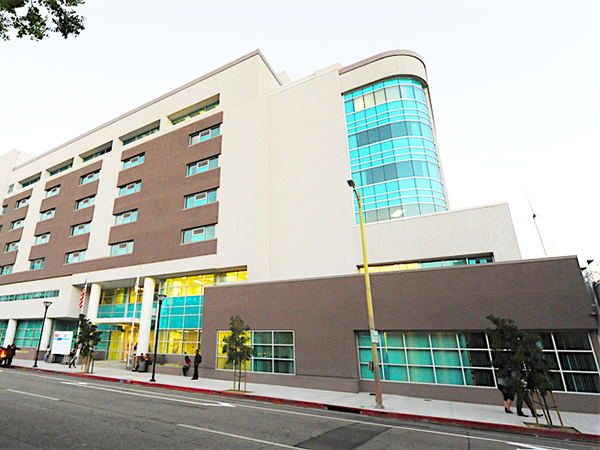 This project was the development of a seven-story building designed as a build-to-suit for the US Department of Labor Job Corps program. The Job Corps program is a free education and vocational training program targeting at-risk youth between the ages of 16 and 24. The Job Corps program offers academic assistance (GED certification/high school diploma completion) as well as job training for more than 1,300 of the 94,000 young Angelenos who were out of school and unemployed. The commercial space in the building of approximately 60,000 square feet includes the job training facility, with a commercial training kitchen in the basement and a medical and dental training clinic on the second floor. In addition to a dining hall, the ground floor includes a lobby, an all purpose room, offices and classrooms. The residential space includes 200 dormitory style units that provide short-term housing for up to 400 Job Corps student participants. The building is Leadership in Energy and Environmental Design, or LEED, certified.